Core Cleaning Services are renowned throughout the southern region as a highly professional, competent and reliable home and residential cleaning company. We offer a whole range of domestic cleaning services which we adapt to your changing needs. Some people just need a one off deep clean upon moving into a new house, some people want a professional cleaner to get their home looking like new at the end of a tenancy, others might like the patio and drive cleaned, the gutters unblocked and the decking jetwashed. 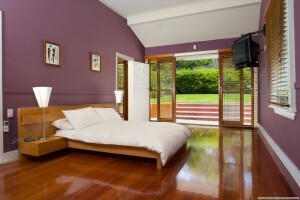 Fortunately, these services, plus many more, are all provided by our skilled and experienced cleaning operatives. It’s standard for rental agreements to have a clause pertaining to the property being thoroughly professionally cleaned at the end of your tenancy. Core Cleaning Services will schedule a date to clean the house from top to bottom, making sure the kitchen, and bathroom sparkle like new, removing any stubborn stains from carpets, dusting, mopping and vacuuming. Once we’re done, we take out the last of the rubbish, leaving the property a completely blank canvas, ready for the next tenant. Core Cleaning clean windows inside and out. We will always come to your home at a time to suit you so we can clean inside discreetly, with little disruption. When we clean outside, we use extendable poles which can reach up several storeys without any need for access, ladders or intrusion. Patios can be prone to collecting dirt and grime throughout the year. In summer you’re using it all the time for parties, eating al fresco, and barbecues. Children spill drinks and food, pets do what pets do and these spillages and stains can all affect the looks of your patio. Core cleaning can restore your paved, tiled or cement patio to look as good as new in no time. In the colder months dirt and mould, leaves and moss will all gather in the corners, making your patio look shabby and unkempt. Core cleaning not only jetwash all that away but also follow the clean-up with a weed killer to prevent moss, lichen and weeds from growing again. Many homes are installing decking as an alternative to a hardstanding patio. They’re attractive and practical. However, after a year or two they can become prone to moss, mildew, and the detritus that fallen leaves make. This material can make the floor slippery and unsafe. No only that, but it provides an environment that is suitable for insects, invertebrates and fungus If mould and fungus take hold the entire structure can become unstable, making it ugly, dangerous and in need of replacement. With regular cleaning and treatment with wood preservers and mould suppressants the life of your decking can be vastly extended. 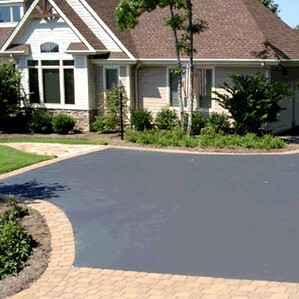 Driveways can easily become strewn with weeds, moss and lichen. Whatever the surface, tarmac, cement, brick or paving stone, weeds can cause permanent damage to the surface while overhanging trees will drop their leaves in winter then their pollen and sap in summer resulting in a slippery, dirty mess that’s just perfect for encouraging other plants to grow. Core Cleaning Services are adept at removing weeds, dirt and mould quickly and effectively. We jetwash away all of the weeds and then follow up with a weed suppressor which will help protect your driveway from further growth and the damage that causes. A problem that many older buildings have is blocked guttering. Guttering must be one of the hardest parts of a building to clean and when it becomes blocked it can lead to expensive damage to your property. If rainwater isn’t directed into downpipes effectively it can seep into walls and flood your home’s abutments, both of which will lead to water damage and penetrating damp. Weeds can grow in the guttering and this can also damage walls and roofing if allowed to go on. 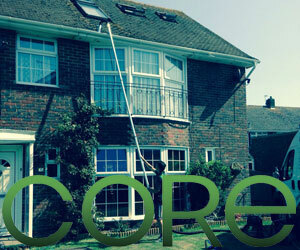 Core Cleaning can easily and safely clear gutters of all kinds of blockages. We have equipment specialised for the job and our gutter clearing specialists all have both the qualifications and experience required to operate any equipment that might be needed to reach inaccessible sections of guttering, from extendable poles to cherry-pickers and ladders, although we will always do our best to carry out all of our work as quickly and simply as possible, with the least annoyance or disruption to you.